Autumn tree decals - A decorative autumnal wall sticker featuring falling autumn leaves and forest animals. From our collection of autumn stickers. 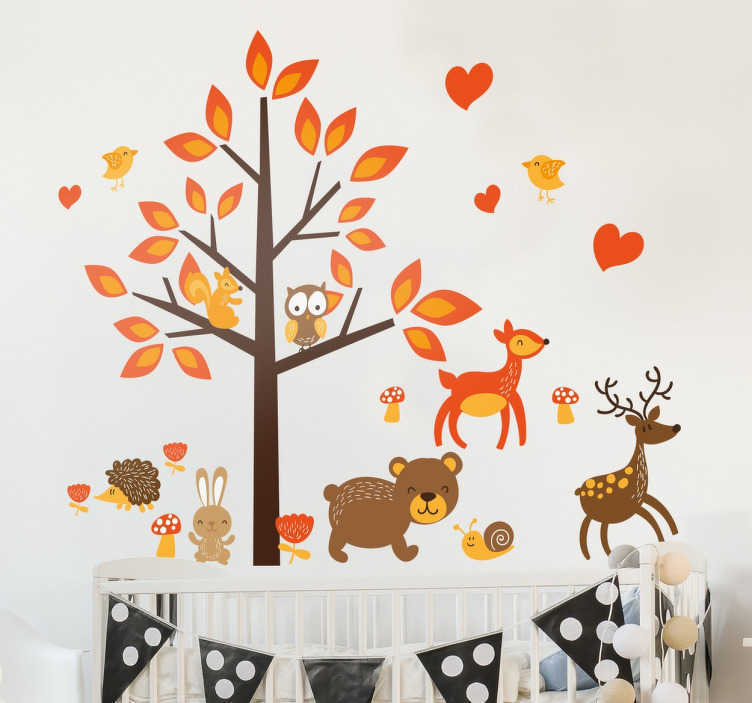 The autumn tree wall sticker has cute deer, owls, a happy bear, squirrels, rabbits and birds.The autumn decal is made from high quality, anti bubble vinyl and is easy to apply. Can be placed in your child´s bedroom to give the room life and signal the start of autumn!